Fits only E36 M3 Manual Transmission only! The factory radiator on factory cars leaves a bit to be desired. Just a little too small for the best cooling, you can often be down on horsepower when pushing the car hard. Koyorad has seized this opportunity, and created a direct fit radiator for the E36 M3 which uses factory bolt locations. In addition, the OE fans will bolt on directly, making the Koyorad radiator an easy and quick installation. 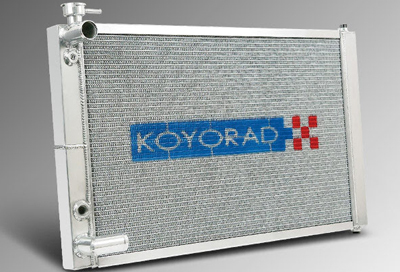 ModBargains.com can install the Koyorad Radiator in your E36 M3!